As of today, Apple has stopped signing iOS 9.2.1 for compatible iPhone, iPad, and iPod touch models, meaning users can no longer upgrade or downgrade to that version of iOS using iTunes. Apple is now signing iOS 9.3 and iOS 9.3.1 only. iOS 9.3 was released to the public on March 21, and iOS 9.3.1 was released 10 days later on March 31.
iOS 9.3 has suffered from several bugs since it was released, which may have prompted some users to downgrade to the more stable iOS 9.2.1 release. An Activation Lock issue on some older devices caused Apple to temporarily pull the iOS 9.3 update for some users shortly after iOS 9.3 launched, and the iOS 9.3.1 update was released to fix a second major bug that caused apps to crash or freeze after tapping or long pressing on a web link. Both issues have now been solved. inb4 people start complaining about how they don't like what Apple does despite the fact that they do that every time a new update is released. I still think not being able to downgrade to an older major version is pretty inconvenient. 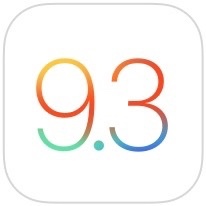 Incredibly cheeky of Apple with 9.3 still in flux. Well maybe they wouldn't complain if Apple's updates didn't screw up their phones and introduce new bugs. Like the browser crashing when visiting websites. This is not trivial. Speaking of flux, I love the night shift feature! I've got nothing to complain about… still on iOS8 for my devices. Honestly, for me personally, iOS 9 blows iOS 8 out of the water. iOS 8 had too many glitches/issues for me. iOS 9 fixed all of those issues. May I ask why? 9.3 has been incredible for me compared to 9.2.1... Huge huge change in performance on my iPad mini 2 although it still isn't perfect. Control Center is perfect now on iPhone 6, and everything is overall more zippy. I never had the freezing bug with the links and I don't know how to trigger it or anything. Well.. There is no ticket for you to going back now, if the update screwd your phone, your stucked with it. I am still stay at iOS 7 with my iPad Mini first generation and iPhone 4S. iPod touch 6, iPhone 6S, iPad Mini 4 and iPad Air 2 still at iOS 9.2. After all these bugs, I am not going to update. I don't really care with my Android phones (Nexus, Moto, Xiaomi and Meizu), all I need to do is reflash old firmware and be happy (Nexus and Moto need flash files and adb commond, while Xiaomi and Meizu just need put .zip file on the root directory and hit restore). All these bugs? I feel like there are probably more recorded bugs in 9.2. What known 9.3.1 bugs are there? They should allow any version to be signed and installed. Yes I know they are not updating older iOS' but the user should be allowed to choose for various reasons like compatibility or testing software or 32 bit desktop hardware like me. iOS 8.4.1 is working fine for me on my iPhone 6. At least they waited until they fixed that crippling broken links bug. My phone was almost unusable for a while there.